Emes Ve-Emunah: Is it a Witch Hunt? Once again, I find myself in the awkward position of defending a President that I wish would never have been nominated – let alone elected. I am not going t re-hash all of my issues with him. Been there and done that ad nauseam. But since I am in the ‘business’ of Emes (as I understand it) I feel the need to do it. This should not, however, be misconstrued as having changed my negative views of the President. It hasn't. Yesterday, Deputy Attorney General Rod J. Rosenstein announced his appointment of Robert S. Mueller III as special counsel to investigate the possible coordination with the Russians to influence the election. The last time that happened was when Ken Starr was appointed to investigate President Clinton. Upon the completion of that investigation it was determined that Clinton lied under oath to congress. Who then voted to impeach him. They did not however vote to remove him from office. The only other time in my own lifetime this happened was when President Nixon was investigated in the Watergate affair. He was in danger of being impeached because it was determined that he too obstructed justice. He decided to resign (in disgrace) rather than face impeachment. Now it’s Trump’s turn. Or is it? My own view is that it is not. Trump will not be impeached. At least not for this. 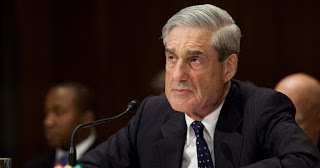 Let us review the series of events that led up to Mueller’s appointment. It has been determined by US intelligence agencies that the Russians did indeed try to influence the election. Not by fixing votes. But by leaking some of Hillary Clinton’s private emails (sent to them by Wiki-leaks). That weakened her candidacy - thereby strengthening Trump. Upon discovery of these additional emails, (now ex) FBI Director James Comey said he would reopen the investigation of Clinton. This happened shortly before the election. Hillary Clinton blamed Comey for her loss to Trump. Since the election Trump’s National Security Adviser Lt. General Michael Flynn was fired because he misled Vice President Mike Pence about contact with Russian officials during the election. He was later replaced by General H. R. McMaster. Who has been a staunch defender of Trump’s innocence in disclosing secret Israeli intelligence to the Russian foreign Minister. The media, Democrats, and even some Republicans seized on this as evidence that Trump tried to obstruct justice by telling the FBI director to stop the investigation of his ties to Russia. The assumption being that Trump's intent was to avoid being discovered show that he did conspire with them to influence the election. That’s a great narrative if one believes that Trump is a scoundrel who had ulterior motives for becoming President and therefore used whatever means he could - including illegal ones - to get there. I’m convinced that many people think this is fact. I do not. There has not been one shred of evidence produced to date that Trump had any ties with the Kremlin. Just a lot of speculation. Why did he fire Comey? That’s an easy one. He didn’t want to be investigated. Not because he’s guilty of anything. But because you never know what they are going to find under some rock that will make him look guilty of something. And perhaps more importantly because he didn’t want to spend his time defending himself of false accusations. There has been a lot of speculation about such ties. Nothing has been produced that show that he is guilty of anything. I am certain that no effort has been spared in trying to find something to pin on him. So far, nothing. What about Comey’s memo? Doesn’t that show that he tried to obstruct justice by telling him to stop the investigation? No, it doesn’t. All it shows is that Trump is a man of compassion who doesn’t like ‘good people’ like Flynn to get into any more trouble than he was already in. He felt that Flynn had suffered enough because of this and just wanted to spare him and his family any more grief. Remember also that the meeting with Comey happened the day Flynn was fired. If one looks at the wording of the memo, it is obvious what his intent was. He didn’t threaten anyone. He didn't insist on shutting down the investigation. He just asked him to consider the consequences to a ‘good man’ if this were to proceed. The point being ‘intent’. Obstruction of justice is all about intent. If one tries to end an investigation because he fears being caught in a crime, that would be obstruction of justice. If on the other hand he asks that perhaps the investigation into Flynn end for reasons of compassion, that does not show intent. He wasnit ryting to avoid being discovered of a crime since he didn't commit one. That is not obstruction. He did not threaten to fire him Comey if he didn’t. He just asked. From the way the memo was worded, it seemed Trump was just expressing a moment of compassion for a ‘good man’. And in that memo, Comey seemed to agree with that description of Flynn. Trump may someday be impeached. But not from this. This is not like Nixon who was guilty of covering up the Watergate burglary and tried to obstruct justice - lying about his friends’ (Haldeman and Ehrlichman) involvement in it. It is not like Bill Clinton who lied under oath about his sexual escapades with a young female intern. I don’t see any lies here by Trump. Nor do I see any evidence of a Trump conspiracy with Russia to influence the election. Which begs the question, why are so many others saying (or implying) that Trump did obstruct justice? One Republican, John McCain has even said that the investigation is now at Watergate levels. And what about the media? They are all but salivating at this news and have all but declared Trump guilty. In order to understand why there is so much animosity towards Trump one does not have to be a rocket scientist. The one thing Trump has been consistently good at in spades is making enemies of the media. As he has been in alienating some of his natural Republican constituency. Trump has no idea how to react to criticism except to lash out (or hit back as he likes to put it) at his critics as harshly as he can with exaggerations and lies. His ‘diarrhea of the brain’ has resulted in insulting national heroes like John McCain. And his limited vocabulary doesn’t help him either. Democrats are more than happy to paint him guilty. Because he wants to destroy a lot of their sacred cows – like Obamacare and taxing the rich. The media is making it easy for them. Republican congressman Jason Chaffetz, chairman of the House oversight committee is a constant presence on the air whose dulcet tones make his characterization of Trump sound credible and fair. But if one really pays attention one can see that Chaffetz is enjoying the party (and the limelight) - allowing others to do the dirty work. He thus sounds objective. Liberal Republicans like Susan Collins have been saying some of the same things their Democratic colleagues have been saying. Which gives Democrats cover by saying that this isn't partisan - and not a witch hunt at all. Just an attempt to get the facts. I’m kind of glad that Mueller has been chosen as an independent counsel. I doubt he will find anything. I don’t believe there is anything there to find. Let them get on with it – and end it once and for all so that Trump can get on with his agenda, which is not all that bad. Unless you are a Democrat or liberal Republican. Now if I’m wrong. And Trump is guilty, that will be a win for Conseratives. If Trump is impeached for obstructiong justice and removed from office, then he will be replaced by man that will bring honor back to the Oval Office. I don’t however think that will happen. Trump will remain in office despite the best efforts of his political opponents and the media to paint him in the worst possible tones. At the end of the day, Is this all just a witch hunt? I think it might be. It’s OK to hate the President. Free country. But it is not OK to view everything he does in negative tones. Because that’s just plain old fashioned prejudice at work.